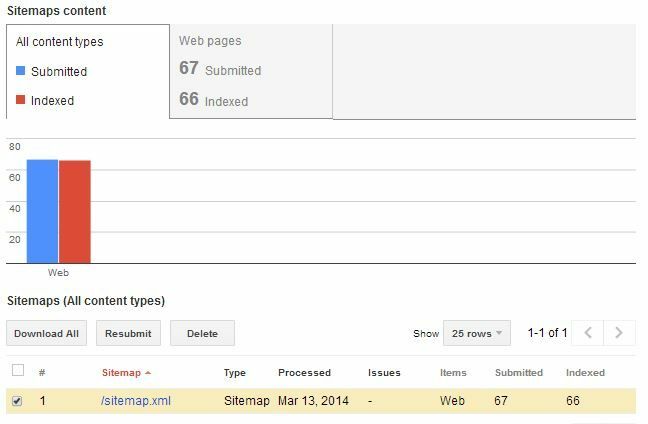 This article is very in-depth guide about setting up Google Search Console (formerly known as Webmaster Tools). I will not only discuss the basics, but also some more specific items, so make sure to keep reading. 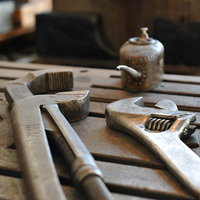 If you sign up at www.google.com/webmasters/tools and perform some basic initial configuration you will receive a lot of feedback about the state of your website, both technical and from an SEO point of view, and it will help you to have your site indexed very fast. Another big advantage is that you will receive notifications from Google if they find something is wrong, like a hack, old software versions, indexation issues, etcetera. If you don't register, you miss out on all this. First, create an account. Then you can start registering your first site by submitting your URL. The first step in this process is always to prove that you are the owner of the site. This can be done in a number of ways, either by placing a small HTML-file in the root of your site or by placing a snippet in the head of your pages. 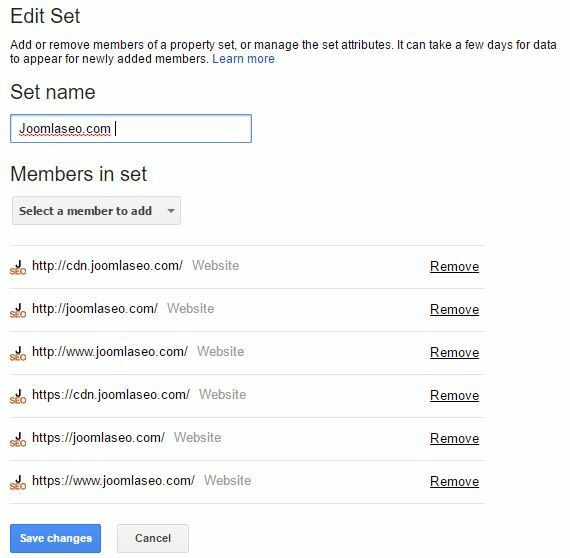 It can even be done using your Google Analytics data (if you already have it active this is the preferred method). For multilingual sites that use a subfolder structure: register the language structure as separate records, like separate ones for website.com/en, website.com/nl, website.com/fr, etc. 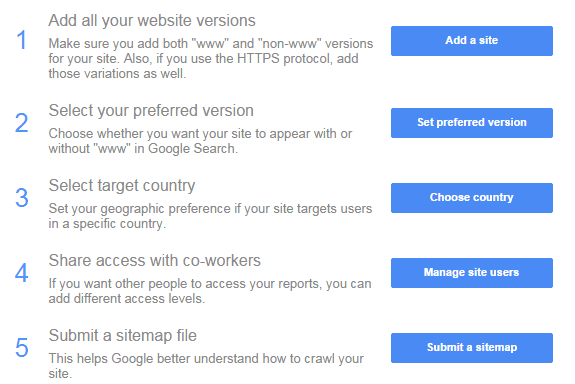 All this means you end up with multiple versions of your site in Webmaster tools, but that is ok, see the next step. From this moment on, you can keep on checking your site in the combined view of the set. In the same screen, you can also set your Geographic target. For sites targeting a specific country, you should also set the Geographic target. This is not necessary if you have a country-specific domain, like .fr, .de, .co.uk, etc., but only for generic domains like .com, .net, .info, etc. 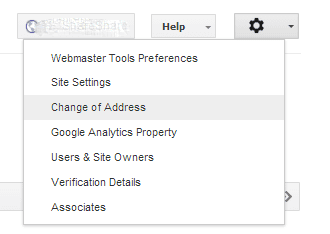 By the way, this setting was recently moved from the Site Settings to International Targeting, under Search Traffic. You can click any of the items, and they will tell you from which location the error is referenced from, like an internal linked you created incorrectly. You should then correct this error, and mark the item as solved. Usually, there will be some funny errors that are hard to solve, but minimizing this is something you should really aim for. Always try to minimize the items listed here. Especially duplicate content issues can easily be found now. The example above points out some Duplicate meta descriptions. Of course, this could mean that you used the same meta description on different pages. However, it can also mean that actual duplicate content is found. If pages are fully identical, they will also be listed here. Even if you managed to clean up the errors, come back once in a while. Not all issues are discovered immediately. Even if your list of issues seems clean, new ones may be found and reported here later. 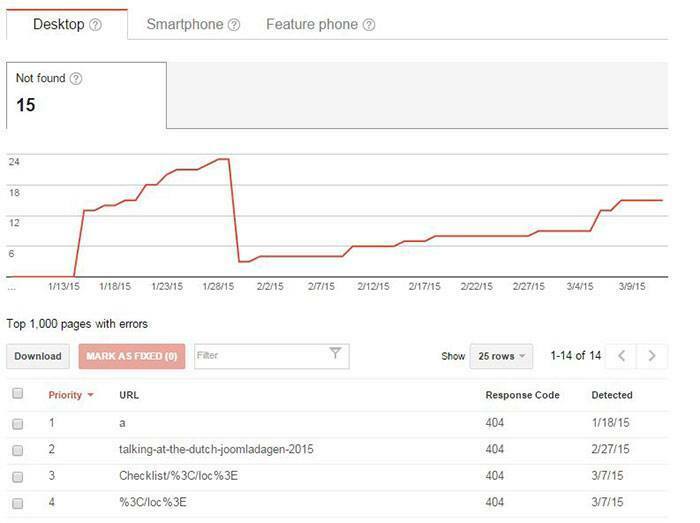 A pretty new feature in Google Search Console is the Mobile usability feature (found under Search traffic). Especially with Google focussing so much on mobile usability and even having said they use it as a ranking signal, it is a must that you check this. It will show you the known issues for your site. Especially if you have a responsive site it is worth checking this, to see if there are indeed no issues with your site. For further checking of mobile issues, also check Fetch as Google under Crawl. You can now check how Google "sees" your site. I wrote an extensive blog article about this feature here, so I will not discuss it here. Make sure to check it though, it is a very powerful feature! You see I have a lot of impressions, but I am only ranked 34th, so I am on the third page. Still, this means that 4018 people actually make it to page 4 for this keyword combination, so there are a lot of opportunities! 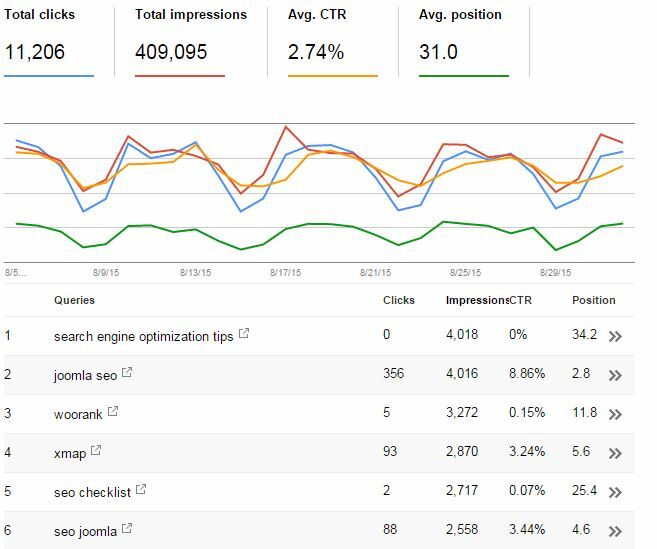 I could try to optimize Click Through Rate, but also I can maybe optimize the keyword a bit more to rank higher. 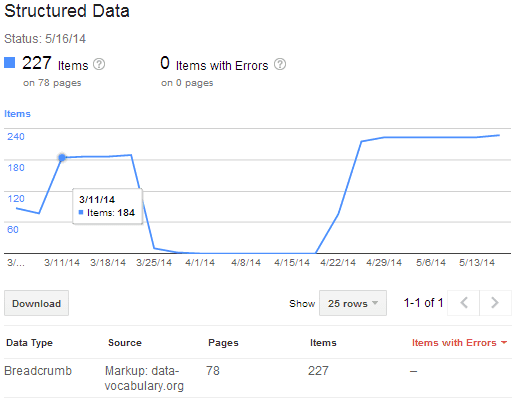 Any errors in the way your structured data is set up will also be listed. Finding out which sites link back to you is very valuable, and actually the list that Google Search Console maintains is actually available for you under Search traffic >> Links to Your site. Funny to see Wordpress.com linking to me ;) Note that the list is not perfect. If you need more exact data, use an audit tool, like SEmRush. Especially watch out for the warnings. Usually, you should only be getting informational messages, like changes to the preferred domain you have set, or additional users that got access to the account. You will use this if you need to transfer your whole site to a new domain. This is always a risky operation, and you should make use of this option if you will ever have to do so. I wrote a full blogpost on this subject here. There is a lot more in Google's Search Console, like backlinks (both incoming and internal), a list of keywords that your site ranks for, possible security warnings, etc. etc., depending on how advanced you need to optimize your site. Though being of much less importance, both Bing and Yahoo also have a (combined) version of Webmastertools. Make sure to register your site there as well, and basically perform the same set of operations.